Last month, I wrote about methods and resources for finding chemical information; this month, I will do the same for drug information. All the resources listed below are accessible from the ‘Find Chemical & Drug Information’ page in the Sackler School Biomedical Sciences Research Guide. AHFS Drug Information: From the American Society of Health-System Pharmacists, this book offers evidence-based information on the therapeutic use of drugs. The entry for each drug covers topics ranging from dosage and administration to lab test interference, and provide pharmacokinetic and pharmacodynamic information. DynaMed Plus: This point-of-care resource provides evidence-based summaries for thousands of clinical topics. It includes drug monographs with detailed information on dosing, interactions, toxicology and pharmacokinetics. Lexicomp Online: A point-of-care resource dedicated to drug information. Monographs have information on: dosing and administration; warnings and precautions; pharmacogenomics; and pharmacology. 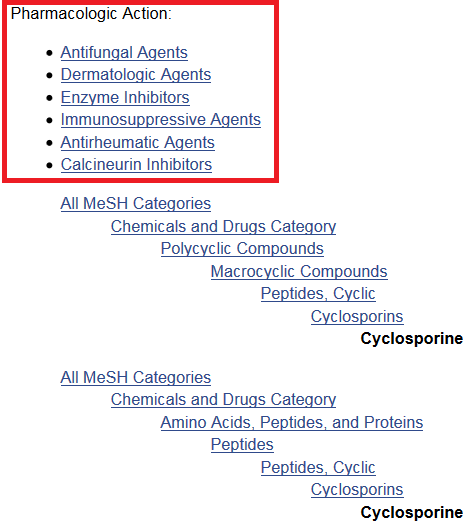 Lexi-Tox, a separate database within Lexicomp Online, provides information on the presentation, treatment and pharmacology of a variety of toxins. U.S. Food and Drug Administration: The agency responsible for ensuring the safety and efficacy of drugs, vaccines and other biological products. Search Drugs@FDA to find official information, such as active ingredients, marketing status and approval letters, about approved drugs and biological products. The Orange Book, also known as Approved Drug Products with Therapeutic Equivalence, is an easy way to view a list of equivalent approved drugs. Entries have a link to patent and exclusivity information. TOXNET: Collection of databases from the National Library of Medicine. Two TOXNET databases, TOXLINE and Developmental and Reproductive Toxicology (DART), index the scientific literature on the biochemical, pharmacological, physiological and toxicological effects of drugs and chemicals. The suite of TOXNET databases also includes the Hazardous Substances Data Bank and the Comparative Toxicogenomics Database. In the course of your research, you may need information about chemical properties, structures and reactions, and articles from the chemical, biochemical and drug literature. In this month’s column, I will cover resources for finding chemical information. Next month, I will discuss drug information resources. Structure: Utilize structure editor in resource to draw substance. Most effective method of searching, but available in all resources. Chemical Abstracts Service Registry Number (CAS RN): The Chemical Abstracts Service (CAS) of the American Chemical Society assigns unique identification numbers to chemical substances, e.g. 1007-32-5. Highly accurate method of searching, but not 100%, particularly in databases not produced by CAS. Molecular Formula: Effective search method, but may retrieve a long list of results. Now that you know a little about how to search for chemical information, you need to know where search. 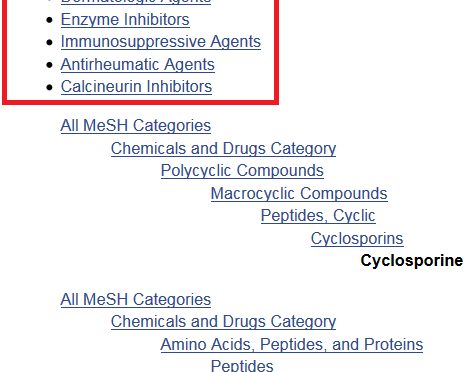 All the resources listed below are accessible from the ‘Find Chemical & Drug Information’ page in the Sackler School Biomedical Sciences Research Guide: http://researchguides.library.tufts.edu/c.php?g=275784&p=2706564. CRC Handbook of Chemistry & Physics: The electronic version of this classic reference book provides tables of property data for organic, inorganic and biochemical compounds. To search by structure, property, or molecular formula, click the flask icon in the upper right corner of the homepage. Knovel Critical Tables: Collection of interactive tables that provide physical, thermal and electrical properties of chemicals compounds and solvents. Good for approximate values, but tables do not include information about conditions under which properties were measured. Search by CAS RN; structure search not available. Merck Index Online: Encyclopedia of chemicals, drugs and biologicals with links to reference articles in PubMed. Good for quickly finding structure, property and toxicity information. Search by structure, CAS RN, molecular formula or name. Reaxys: Database of references to chemical journals, books, conference proceedings and patents. Comprehensive indexing that extracts property, bioactivity, reaction and synthesis data from the literature means you can get experimentally-derived property data for organic, inorganic and organometallic substances without having to sift through the studies yourself. Good for detailed information culled from the chemical literature. To find property information, select the ‘Substances, Names, Formulas’ box on the Reaxys homepage. Search by structure, CAS RN or molecular formula. SciFinder: This Chemical Abstracts Service (CAS) database offers property data on organic and inorganic molecules, proteins and polymers as well as experimental procedures, conditions, yields and solvents for chemical reactions. SciFinder also provides references to the chemical, biochemical and chemical engineering literature from the CAplus and MEDLINE databases. Registration required to use this database. To register, follow instructions on the page that opens from the link above. At some point in your career, you will be asked to demonstrate the impact of your work. You may be asked to do this for a grant application, progress report or renewal, or on a CV for a job application, promotion, tenure or performance review. Traditionally, this has meant providing a list of publications you have authored, and perhaps the number of citations that those publications have received. Alternative methods of demonstrating research impact will be discussed in a later post. How can I create a list of publications that I have authored? You can do an author search in any bibliographic database, such as PubMed (see this month’s PubMed tip), Web of Science, or Scopus. It may be necessary to search more than one database to generate a complete list. 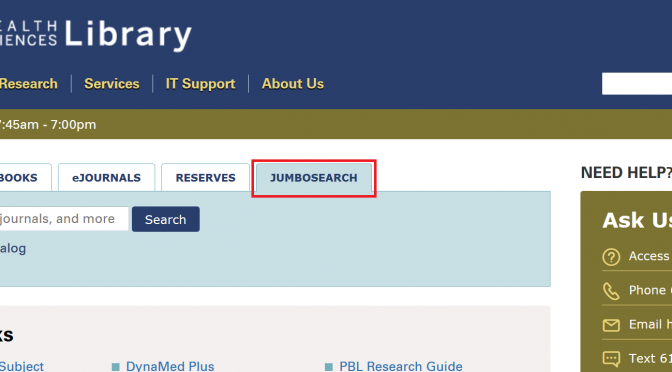 Once you have run the search, you can save the results within the database (for example, send results to the My Bibliography section of My NCBI in PubMed) or export them to a citation manager. Where can I find how many times my articles have been cited? Several databases provide the number of times an article has been cited. Traditionally, Web of Science has been used to obtain citations counts; recently, Scopus and Google Scholar have emerged as alternatives to Web of Science. Each resource provides a different citation count because each indexes (or, in the case of Google Scholar searches) a different set of journals over a different period of time. Web of Science remains the best choice for authors with a long publishing history because Scopus indexes articles published from 1996 to the present (although older content is being added). Google Scholar is a moving target because it “generally reflects the state of the web as it is currently visible to our search robots and the majority of users” (https://scholar.google.com/intl/us/scholar/citations.html – citations). Regardless of the source that you choose, it is important to always cite that source. How can I create a citation report in Web of Science or Scopus? A Web of Science or Scopus citation report provides aggregate statistics for a set of search results. See the library’s ‘Measuring your Research Impact’ guide for step-by-step instructions on generating a citation report in Web of Science and Scopus. You may have heard of, or noticed on your citation report, a metric called the h-index. The h-index is the number of papers (h) in a set of results that have received h or more citations. For example, an author with an h-index of 10 has 10 articles that have each received 10 or more citations. This metric is an attempt to measure both quantity (number of publications) and quality (number of citations). Therefore, it is considered a measure of the cumulative impact of an author’s work. For a recent discussion of the h-index and other measures of academic impact, see Anne-Wil Harzing’s ‘Reflections on the h-index’: http://www.harzing.com/publications/white-papers/reflections-on-the-h-index. 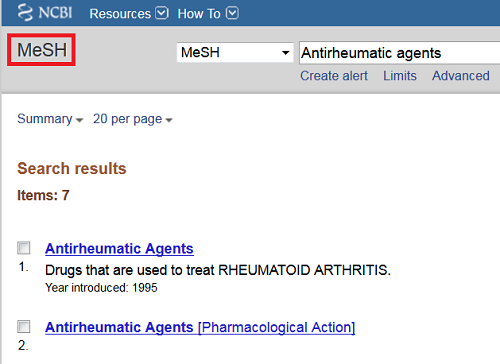 Go to the Advanced Search Builder by clicking the ‘Advanced’ link under the PubMed search box. Choose Author from the All Fields drop-down menu (just Author, not Author – Last, Author – Full, or any of the other options). Enter the author’s last name, followed by 1 or 2 initials with no intervening punctuation (for example: Jones EA). If you are unsure about the inclusion of the second initial, then do not include it. If the author has a common last name, then you probably want to narrow your search by including an affiliation. To do so, choose Affiliation from the All Fields drop-down menu below the boxes where you have entered the author’s name. Enter the name and/or location of the institution with which the author is associated. Affiliation can become complicated if the author has been (or is currently) associated with multiple institutions, or the name of the institution has several possible variations. If the author has an uncommon last name, then first try searching without an affiliation. Check the results to ensure that they authored by the person in whom you are interested. If you have searched for your own name, then you can send the results to the My Bibliography section of My NCBI by clicking ‘Send to:’ in the top right corner of the results page.